As reported several weeks ago on Tellyspotting. 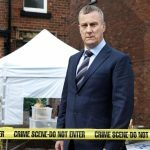 following the conclusion of the forthcoming series of the long-running BBC police procedural, New Tricks, the Unsolved Crime and Open Case Squad (UCOS) of the Metropolitan Police Service will have solved its final case when the series calls it quits after 12 years and 107 episodes. 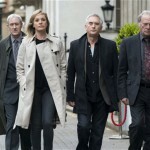 The past couple of series have seen a complete turnover of the self-described ‘motley crew of retired coppers’ with the original cast of Amanda Redman, Alun Armstrong, James Bolam and Dennis Waterman completely replaced by a set of new ‘old dogs’ headed by Tamzin Outhwaite (Red Cap, The Fixer, Paradox). Joining Denis Lawson and Nicholas Lyndhurst for the final round of case solving will be Larry Lamb (Eastenders, Gavin and Stacey) and, the most recently added ‘old dog’, another Eastenders alumni, Tracy-Ann Oberman, who’s character, Fiona, actually appeared in episode 1 of series 11 and will now sign on as a regular ‘old dog’ for the final go-round. Oberman will play Fiona Kennedy, forensic pathologist and will partner with Danny Griffin, played by Lyndhurst and join the NCOS in the premiere episode of series 12 while Lamb’s arrival in the crime drama will coincide with the episode 2 departure of Dennis Waterman, who has played Gerry Standing since the show’s first series in 2003. Even with the complete overhaul of the NCOS, the series continued to maintain a healthy audience over the years, a huge tribute to writers, cast and crew for not missing a beat amidst the changes. 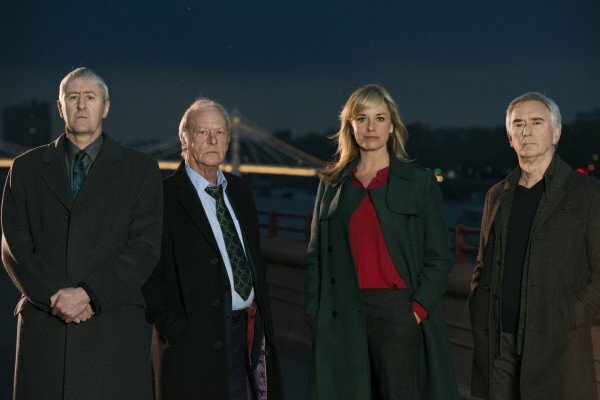 As sorry as I’ll be to see New Tricks solve its last case, the BBC has promised that the final episodes will see the drama “go out on a high”. 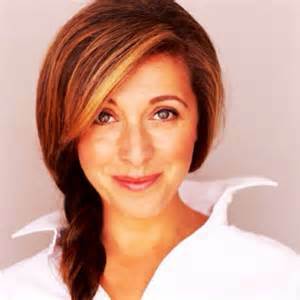 The good news is that the “high” is just around the corner and will come this Autumn on BBC One and in early 2016 on public television in America. While you wait for series 12, Tamzin Outhwaite’s first complete series as DCI Sasha Miller, series 11, is beginning on a number of public television stations in the States. Check it out. Well worth the viewing time.